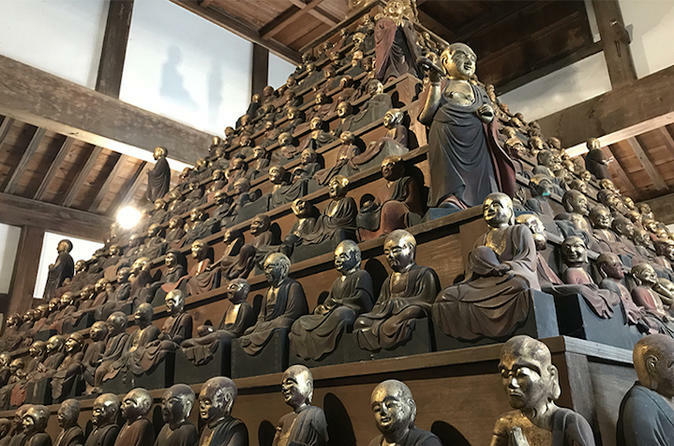 Let's visit historical town of Ashikaga and see rare historical items, such as 500 Buddha statues, Ashikaga school, local house aged over 100 years, etc. Ashikaga City is known for having the oldest school, namely Ashikaga school, in Japan.This Ashikaga school has been certified as a Japan heritage, and there are a plenty of historic sites in the city, such as Banna-ji temple holding a national treasure and Tokuzo-ji temple dedicated to 500 Rakan Buddha statues. What is an ashikaga school? It is Japan's oldest school which was introduced to the world as 'Ashikaga School was the largest and most famous university of eastern Japan' by Francisco Xavier, the founder of the Jesuits. Regarding the establishment of the Ashikaga School, the record is unknown, but since the centuries ago we have continued to disseminate academic disciplines centered on the teachings of Confucianism, and the Ashikaga school continued as a center of Confucianism and academics to educate nurturing minds that respect Japanese morals and courtesies. It is said that students who gathered from various places continued learning until they were fully satisfied under the frees school environment. The importance of continuing learning in the spirit of self-study is becoming the starting point of modern school education. The existence of the Ashikaga school has become a driving force for obtaining high educational standards from the former rulers to many commoners, from reading and writing and arithmetic to manners. - Tokuzo-ji temple: 500 Rakan Buddha status rarely found nationwide are enshrined and its appearance is stunning. - Banna-ji temple: One of the highlights is the beauty of the autumnal leaves coloring the large Icho tree aged 600 years and there is a main temple designated as a national treasure that has historical value. - Matsumura Museum of Art (Closed on Tuesdays): There are many valuable exhibits in this wooden old private house built nearly 100 years ago, such as the original Prime Minister's letters and autographs. In addition, the furniture, interior, room design, and the art work of then are nicely preserved, which gives us an idea of the living style of the large landowner at that time intact. Special Offer - Book by March 31st, 2018 to save up to 50% off our previously offered price for all tour options! - Book Now!